The forest and access to wood was one of the main factors when Edsbyn began in 1899. At an early date, we were economically (and ecologically) conscious of making the most of our raw materials. 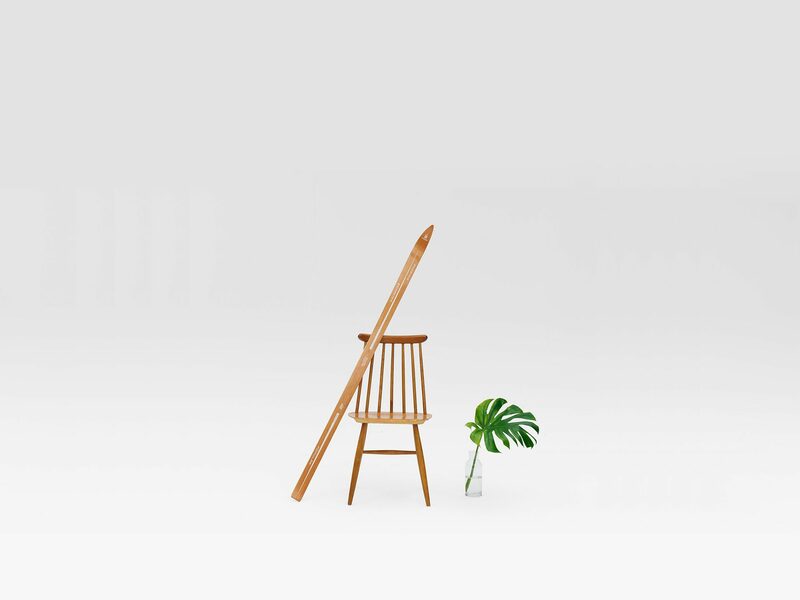 The Fanett Windsor chair, of which over 5 million were sold, was produced from waste wood from our ski manufacturing. Waste wood is today supplied to the power station. EASE, our latest screen system, is primarily manufactured from recycled textiles and PET bottles. We still think about recycling, now as then. Edsbyn was the first office furniture company approved for the Nordic Ecolabel, and our products are approved according to Möbelfakta. This confirms that our production and furniture fulfil the requirements set in terms of environment, quality and social responsibility. Reuse is encouraged by Edsbyn’s timeless modern design, which resists the changing tastes of fashion, together with high product quality maintained throughout the entire life-cycle. This facilitates reuse, which is coordinated with our resellers. At Edsbyn, we work constantly to improve our processes and furniture production – in order to be the obvious choice for those who select office furniture on the basis of environmental and sustainability factors. The vast majority of the textiles used in Edsbyn’s furniture are approved according to Oeko-Tex or the EU Ecolabel. An approval system for products where demands are set within the areas of quality, environment and social responsibility. • The business has a quality system according to ISO 9001 or equivalent. • The business has an environmental management system according to ISO 14001 or equivalent. • Processes and materials fulfil requirements corresponding to the Nordic Ecolabel mark criteria. • Work systematically to improve occupational health and safety. • Comply with current legislation. • Take ethical and social responsibility according to the UN’s Code of Conduct. Edsbyn was the first manufacturer of office furniture to have its products Nordic Ecolabelled. Our latest example of a Nordic Ecolabelled product is the EASE screen system which is manufactured from a material normally used for sound absorption in vehicles. It primarily consists of recycled textiles and PET bottles, which makes EASE a good example of sustainable product development.